A middle schooler and high schooler create a website for standardized tests. It is more and more difficult to afford college, and more and more students are applying to colleges. Top U.S. Colleges, state and private, have ramped up their minimum requirements for entrance. Those looking for scholarships will have an even tougher time. The difference for an entrance could be 100 points on the SAT. Students who are serious about getting into the college of their choice look for any edge, point, and guide to help nudge their scores up. Enter StudyBean. 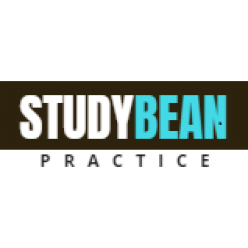 The brainchild of two high school students, StudyBean provides assistance on the SAT, as well as the PSAT – a test that is used to determine National Merit Scholars – a very difficult accomplishment. “The PSAT is given to students as early as the eighth grade. The test for the National Merit program is not until the sophomore year of high school. Our website helps those students improve their scores and try to get them to the National Merit level,” said Satwik Prakash, the other co-founder. StudyBean focuses the majority of its help and instruction on the mathematics portion of the test, the historically most difficult portion. Test questions and practice tests are available. All are aligned as closely as possible to the actual tests. “The goal is to find certain weaknesses. Students can then get direct help and tutoring from their teachers on these specific areas,” continued Chawra. Several users have posted about how the site has helped them increase their scores and become assured of their mathematics abilities. “Confidence is key when taking standardized tests. Students and school systems who report using our service have seen measurable growth on their test scores. This means more students getting into the colleges of their choice and earning scholarships,” said Prakash.